TV with Thinus: BREAKING. Maria Bartiromo goes from CNBC Africa on DStv to Fox News Channel on StarSat with new show starting this Sunday. BREAKING. Maria Bartiromo goes from CNBC Africa on DStv to Fox News Channel on StarSat with new show starting this Sunday. 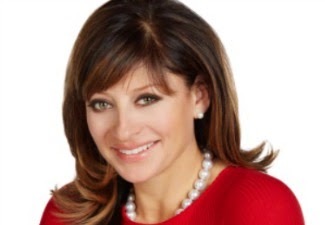 Maria Bartiromo is going from MultiChoice's DStv and the CNBC Africa (DStv 410) channel to On Digital Media's (ODM) StarSat and the Fox News Channel (FNC) (StarSat 405) with her new weekly Sunday show, Sunday Morning Futures, which will start this coming Sunday, 30 March at 16:00 (South African time). FNC announced Sunday Morning Futures today. It follows Maria Bartiromo who left CNBC and did her final appearance on CNBC Africa in November 2013 after signing a new deal to work for the Fox Business Network which included a weekly show on the Fox News Channel. In early 2014 it became clear that she would start her new weekly show before the end of March. On Sunday Morning Futures, Maria Bartiromo will "interview business leaders and newsmakers on economic topics like job creation and investment opportunities, with the goal of preparing viewers for their financial future," says Fox News Channel. "Maria's renowned expertise covering financial markets, job forecasts and the economy has helped define her as one of the finest business journalists in the industry, and I am confident she will bring even greater value to Fox News Channel's weekend programming," says Michael Clemente, Fox News' executive vice president of news in a statement.